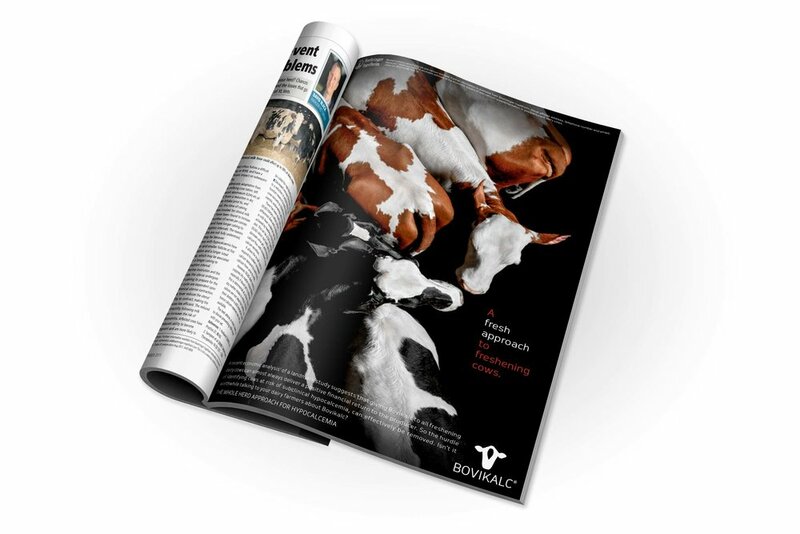 Boehringer Ingelheim developed a ground-breaking new product made to tackle milk fever in dairy cows – we were tasked with launching the new product globally and then strategically repositioning it as the product evolved inline with a new data. Being more familiar with night fever than milk fever – we started by conducting research into farmer’s attitudes and behaviour towards their livestock and the dangers and prevalence of milk fever in their herds. This led to a concept that celebrated the high esteem farmers felt toward their livestock, while also highlighting the dangers and prevalence of milk fever, a condition that not all farmers were knowledgeable about. Enlisting the talents of world-renowned animal photographer Tim Flach, our campaigns focussed on making the ordinary extraordinary. Using visually arresting photography, the work revealed dairy cows for the beauties they are. Farmers and vets couldn’t get enough. 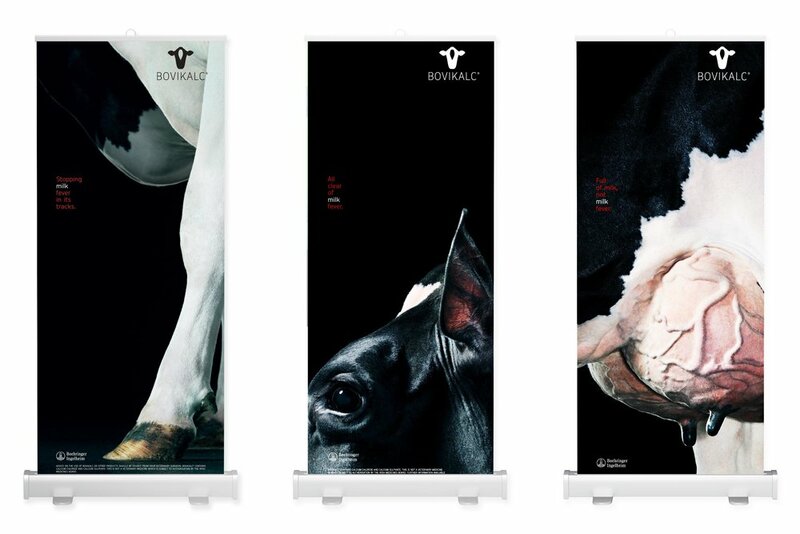 Sales of Bovikalc far exceeded expectations and demand for the product caused shortages in some parts of the world. The success of the initial campaign led to a development of a further global campaign to reposition the product to capitalise on commercial opportunities.